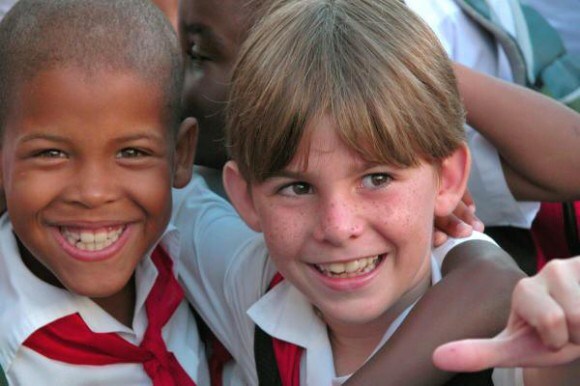 The existence in the developing world of 146 million children under five years old who are underweight, contrasts with the reality of Cuban children, recognized worldwide for being outside the social evil. These alarming figures appeared in a recent report from the United Nations Fund for Children (UNICEF), entitled Progress for Children, A Report Card on Nutrition,, released at the UN headquarters. 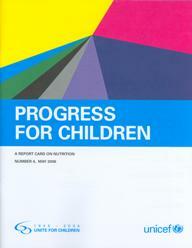 According to the document, the percentage of underweight children in different region of the world are: 28 percent in sub-Saharan Africa, 17 in the Middle East and North Africa, 15 in East Asia and the Pacific, seven in Latin America and the Caribbean.The table is completed by Central and Eastern Europe, with five percent, and other developing countries, with 27 percent. Cuba has no such problems, it is the only country in Latin America and the Caribbean that has eliminated severe child malnutrition, thanks to government efforts to improve the nutrition of people, especially those most vulnerable. The harsh realities of the world show that 852 million people go hungry – 53 million live in Latin America. In Mexico alone there are five million 200 thousand undernourished and in Haiti three million 800 thousand, while worldwide over five million children die each year of hunger. According to United Nations estimates, it would be very costly to achieve basic health and nutrition for everyone in the Third World. To achieve that goal an additional 13 billion dollars annually would be needed – a figure that has never been achieved and that is meager when compared to the trillion each year spent on commercial advertising, 400,000 million in narcotic drugs or even eight billion spent on cosmetics in the United States. To the delight of Cuba, the Food and Agriculture Organization (FAO) has also recognized that this is the nation with more progress in Latin America in the fight against malnutrition. The Cuban state guarantees basic food basket that allows the nutrition of its population at least in the basic levels through the distribution of regulated products. Similarly, the State makes economic adjustments in other markets and local services to improve the nutrition of the Cuban people and to alleviate food shortages. Especially, a constant watch on the livelihoods of children, girls and adolescents is maintained. Thus, attention to nutrition begins with the promotion of better and natural way to feed humans. The issue of malnutrition looms large in the UN campaign in 2015 to achieve the Millennium Development Goals, adopted at the Summit of Heads of State and Government held in 2000, and whose goals include eliminating extreme poverty and hunger by that date. Despite shortcomings, difficulties and serious limitations for economic, commercial and financial activities imposed by the United States embargo for more than five decades, Cuba does not show desperate nor alarming rates of child malnutrition. None of the 146 million children under five years who are underweight in the world today is Cuban. This entry was posted in Home, International and tagged Child malnutrition, Cuba, FAO, UN, UNICEF by Russell. Bookmark the permalink. Just like in Libya, and other countries that have been taken over by the Hyenas. This is an example of how the wealth of every nation is sucked by by the Global Ruling Money Gangsters. The Cuban people might not be rich but they enjoy Universal Health Care, Free Education, and the society is almost drug free, casinos, prostitution guns, alcohol and destructive TV shows that have left other societies with plenty of criminals and psychopaths. i visited Cuba in November 2016 to run the Havana marathon and i was very impressed by the socilaist system. Nobody suffers from lack of health care or inability to pay hospital.